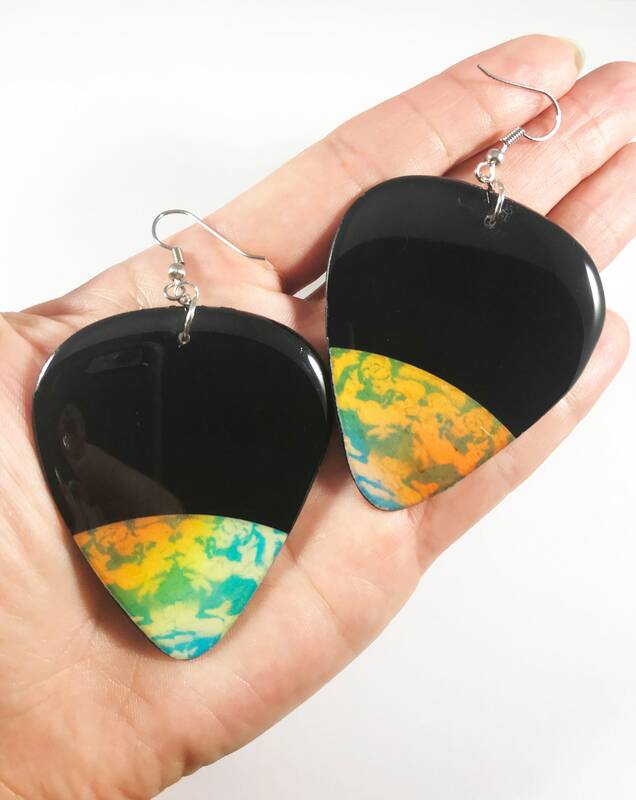 These are some super rockin' One Of A Kind Earrings! Hand cut from Upcycled Vinyl Records and coated with jewelry grade high gloss resin. They feature part of the actual original record label! This one features the part of the original Orange and Turquoise print on the label. 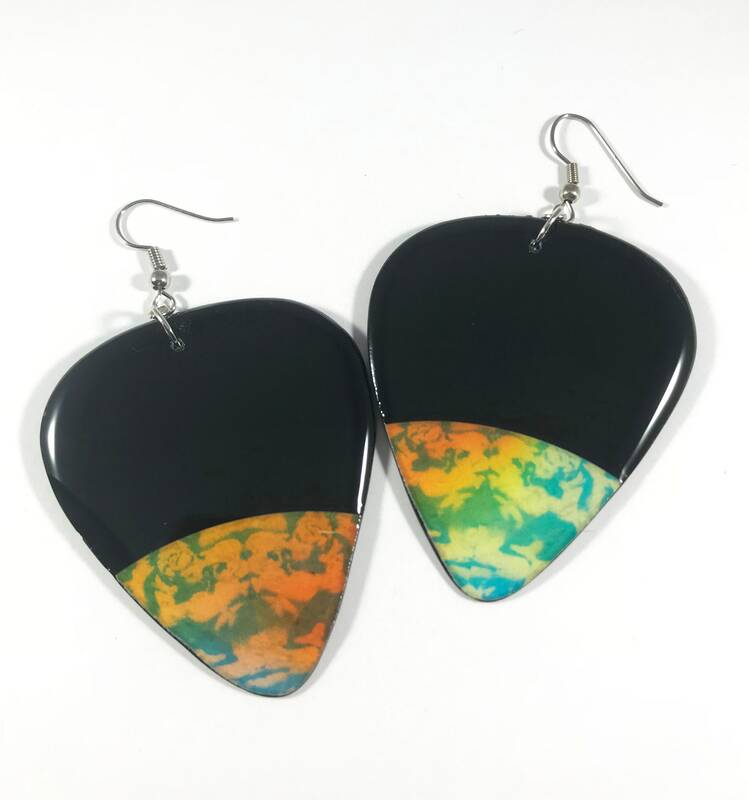 They are extremely lightweight for their size, and come with a glass-like shine, and the domed resin makes the earrings look like stone or glass. ☆ Measures approximately 2 5/8" high and 2" wide (not including earring hardware). ☆Silver Colored earring hooks are nickel free. ☆ No good records were harmed in the making of my products. Only unloved, unplayable records that would have otherwise ended up in the trash. 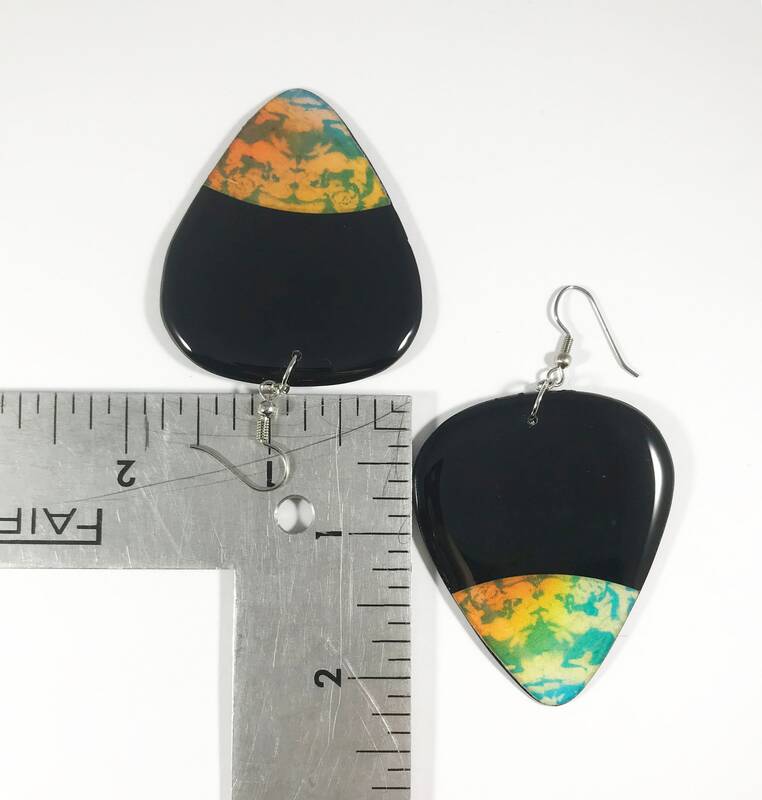 The earrings are cut from real vinyl records, so please do not leave in extreme heat or cold. They will melt or crack as any other real vinyl record would! Items are hand made with love! All of the earrings are cut and sanded on the edges to a nice smooth edge. Due to the quality of the used vinyl record, some of the surfaces and edges may not be as shiny as a brand new record.